If you’ve switched from an iPhone to an Android, BlackBerry or Windows Phone, and are not getting text messages from your friends who are using an iPhone, then you’re not alone. Apple has acknowledged that an iMessage bug is affecting some users, and plans to provide a fix for the issue in a future iOS software update. Until then, if you’ve or are planning to switch from an iPhone to an Android, BlackBerry or Windows Phone, then you need to follow these steps to fix or avoid the issue. Tap on the On/Off toggle next to iMessage to turn it off. Now send some test message to a person who has an iPhone using the Messages to confirm whether iMessage has been disabled. The messages bubbles should green. If the message bubbles are blue then it means iMessage hasn’t been turned off. 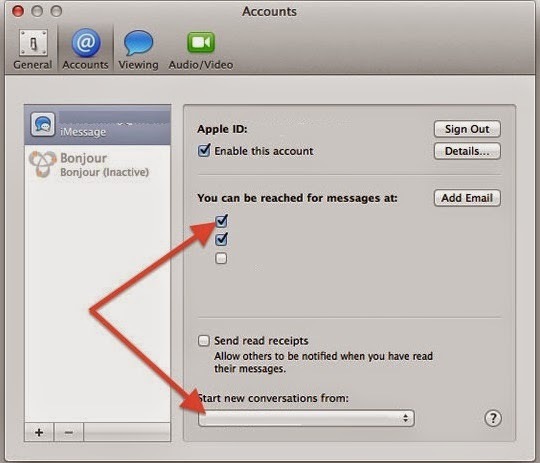 Your iPhone telephone number is linked to your Apple ID when you sign in to FaceTime or iMessage. 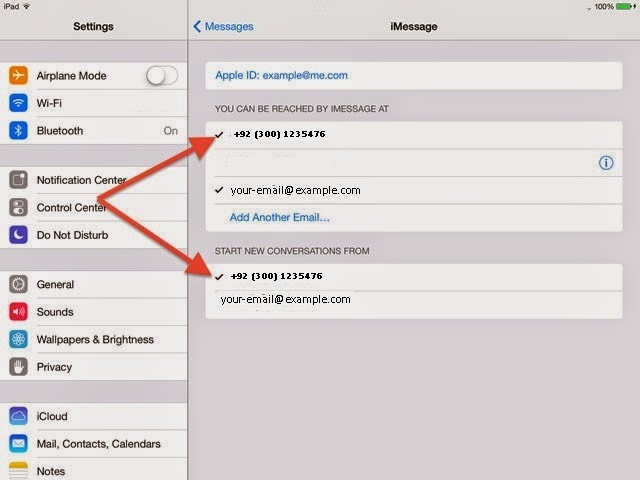 This allows you to use your iPhone number with FaceTime and iMessage on other iOS devices and your Mac. This is great when you’ve an iPhone, but can create problems when switch from an iPhone. So you need to remove this link from your iOS devices and Mac. You should deselect your Phone number from this list, and also select an alternative address for ‘Start new conversations from’. 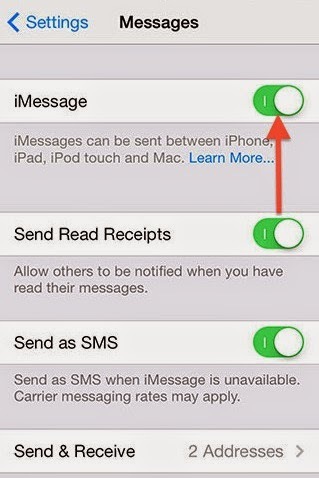 After you’ve switched to a new smartphone, you should verify if you can send and receive text messages from someone using an iPhone. If you’re still facing a problem then you will need to contact Apple to reactive iMessage from Apple’s servers. If the steps mentioned above doesn’t help in fixing the issue, then you need to call Apple at 1-800-MY-APPLE to unregister your phone number from Apple’s servers. Apple fixes this sooner or later.